The first time I listened to Arin Eaton’s (aka Elizabeth Arynn) music, it occurred to me immediately that she was a talented singer, piano-player, and poet. Her songs tell the story of taking chances, moving across the country, and standing strong even when you find yourself alone in South Carolina while your family and friends remain in Iowa. With a voice reminiscent of artists Regina Spektor and Ingrid Michaelson, you will swear you have already been listening to Arin for years on shows like Grey’s Anatomy. Though she shares that songbird appeal that both Spektor and Michaelson are known for, Arin boasts a unique performance independently and diversifies her sound when accompanied by Scott Yoshimura on vocals. 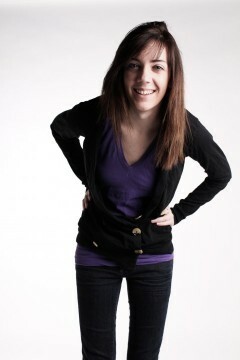 Arin was born in Lexington, South Carolina but grew up in Ankeny, Iowa. These locations are reflected beautifully in each note as her sound is infused with a laid-back, middle US attitude that you could listen to, on repeat, for days. Unfortunately for us, Arin’s first EP will not be available until this September.